Initially, the only reason I got this book was because I got a email saying that if I didn’t use one of my credits, I would lose it soon, and then I saw this on the page of recommendations. This is one of the BEST books EVER. The story line flowed together so well. It was thought provoking, It was heart wrenching, it was a blessing to my soul. I wish I could write something a bit more intelligent, but I’m still so overcome with emotion. 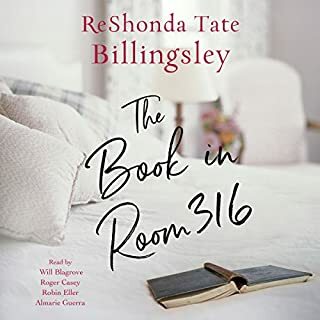 Do yourself a favor and listen to this book....It’s a blessing!!!!!! Felicia Caldwell has a great job, a healthy bank account, and stunning good looks. But she longs for a husband and family to go along with them. 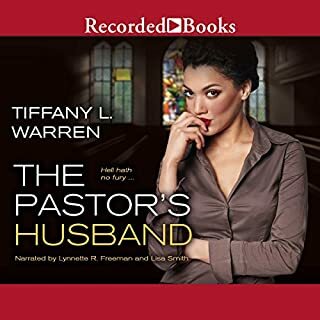 So when charismatic superstar pastor Nya Hempstead declares that partnership is on its way, Felicia is elated - until her life becomes filled with more curses than blessings. Five years later, someone has to pay - and that someone is Nya. Soon Felicia moves to Dallas and joins the church led by Nya and her copastor husband, Gregory. This was my first book by Tiffany L Warren. I became so engrossed in this book while reading it on the beach while vacationing, I had the worst sun burn ever. The story line was so intriguing and so well written, it had me rethinking my membership at my mega church. This story was engaging, thought provoking and thoroughly enjoyable. It needs to be a movie.